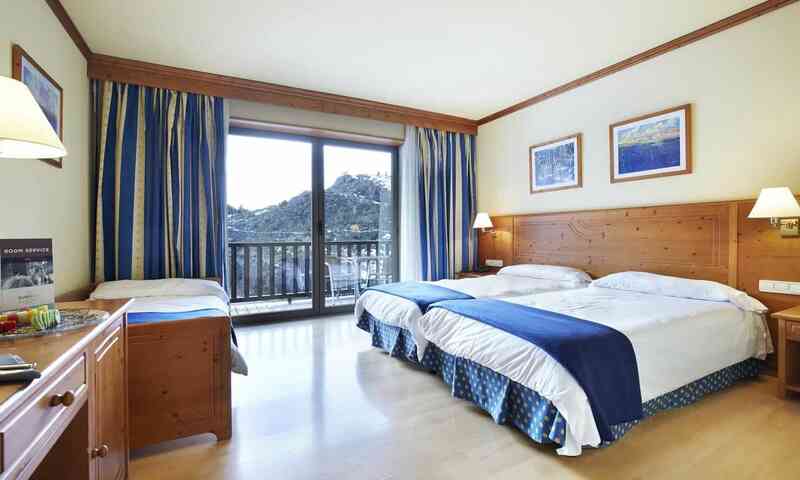 Hotel Euro Ski has a high standard of accommodation, excellent service, and superior facilities to make for an unforgettable holiday experience. 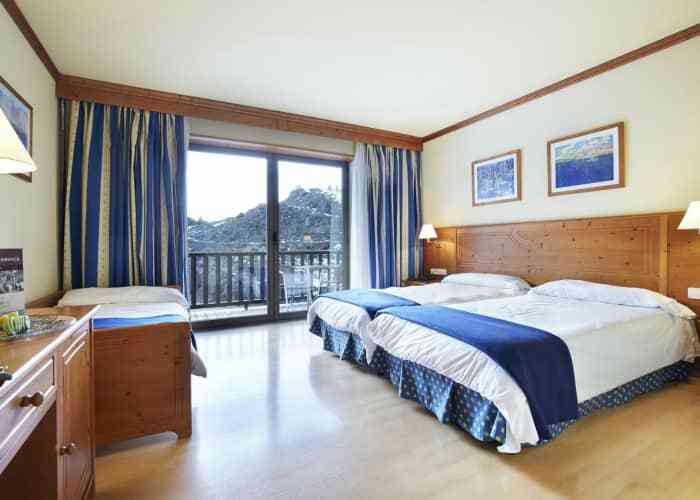 This modern hotel boasts a warm, friendly atmosphere and a beautiful location. It is the perfect choice for groups, couples and families alike, with a kiddies playroom to keep the children entertained. A house bar is on offer for the adults, where they can enjoy a drink after a day on the slopes. 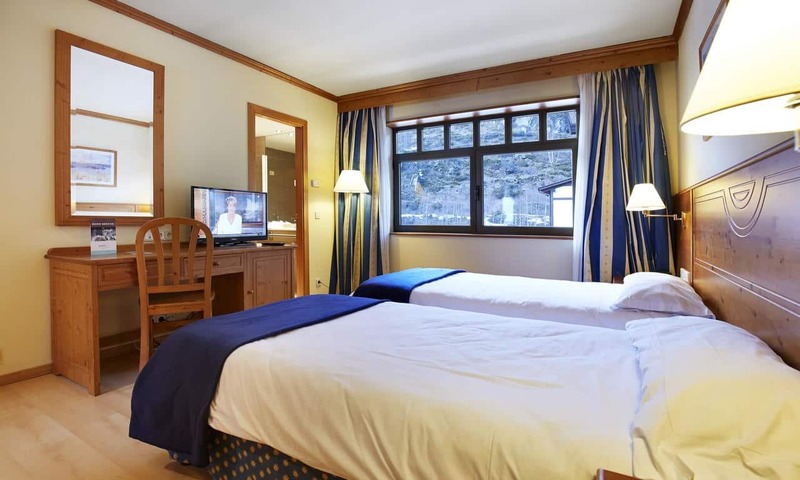 The hotel sauna, steam room and indoor heated swimming pool will help guests unwind after a day on the slopes. 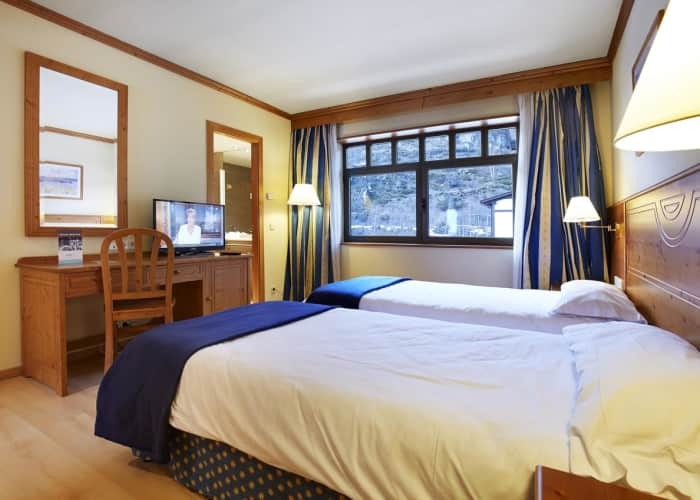 Hotel rooms are fully-equipped offering beautiful views of the region, the hotel also boasts further facilities, including a spa zone, fitness room, reading and games room, café and lounge. Free WiFi and a buffet restaurant is also available at the Euro Ski. This property is offered on a Half Board basis. Buffet breakfast is included. Dinner is 3 course buffet style. Special Christmas and New Year dinner is included.